This is the perfect opportunity to find unique and affordable Nevada gifts just in time for the holidays. The Latimer Art Club’s Miniature Art Exhibit features over 100 small paintings and drawings. 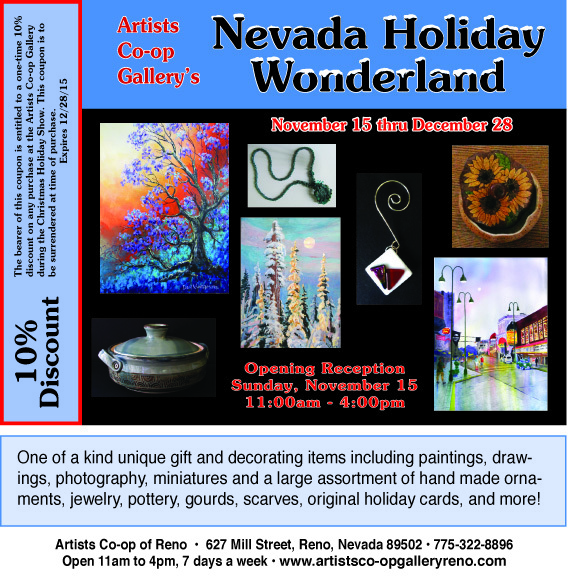 This is the final opportunity to view and purchase original and affordable art created by some of Nevada’s finest artists. 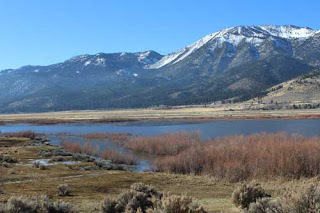 The “History for the Holidays” event includes Nevada artisan crafts, local book authors, and holiday refreshments. The Damonte Ranch High School Christmas Carolers perform from 10:30 - 12:30 pm. The museum store highlights Nevada books and a 20% discount is available on most store merchandise. Come and meet these wonderful authors and learn more about their fascinating topics! and honor the Birthday of our namesake Lorenzo Latimer! We will celebrate with Cake and our Annual "Handmade Card" Exchange. If you would like to participate in the Card Exchange, simply bring one 'created by you' card. It can be hand drawn, painted, etc. Remember to put your card in an envelope. Cards will be exchanged during the break. This has become a fun and creative way for us to share a little bit of our art with each other. Sharon will give a demonstration on “Printing Without a Press Using Gelli Plate”. Gelli plate printing is a fast, spontaneous and exciting art expression with endless possibilities. You can explore color, design and composition using this process. Demo will cover additive & subtractive techniques, gelli print examples, material list and some reference material. Also included, recipe for making a gelli plate and the pros & cons of store bought vs home-made plates.